It’s hard to believe, but from Thursday to Monday, April 5-9, El Chingon will celebrating one year of badass’ness. As we look back on the past year – from accomplishments, to lessons learned – we’re especially grateful of the relationships and partnerships we have made along the way. Year one, año uno, was full of badass parties, tacos galore, and all things tequila. Perhaps our most popular tequila cocktail of year one has been the Madero; house-made watermelon cordial, lime, a tajín rim and, of course, Azuñia blanco. Azuñia Tequila comes straight from the Jalisco Valleys, about 8.6 miles south of the town of Tequila in Mexico. Harvested by hand, Azuñia Tequila is made of 100% Weber Blue Agave from the estate owned and operated by the “Tequila Royalty” Sergio Zuñiga. The Tequila is fermented naturally, and bottled in small batches, creating the unique, smooth flavor. 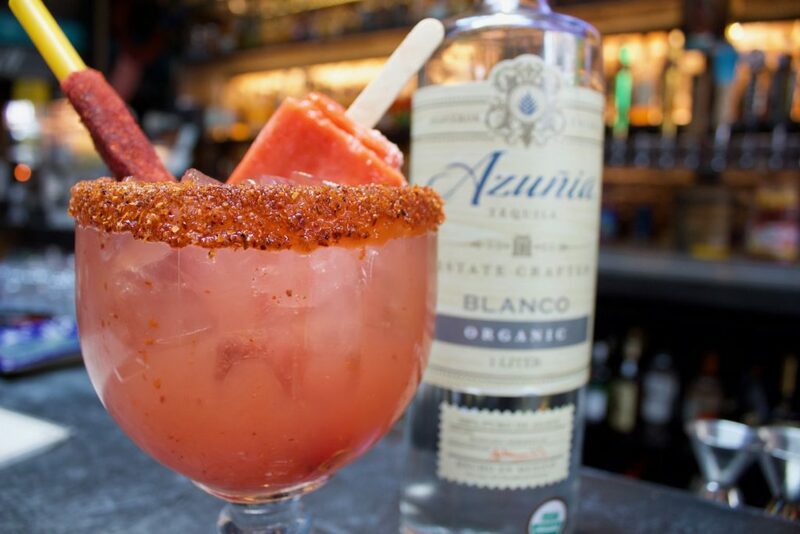 The official Tequila of the Portland Trail Blazers, Azuñia is no stranger to the professional sports world as equity partner is none other than NBA Hall of Famer and sportscaster Bill Walton. Founder Jim Riley himself is a professional off-road race car driver, and in 2011, world class surfer Sunny Garcia was named brand ambassador. Azuñia is an organic tequila that comes in Blanco, Resposado and Añejo, which are great enjoyed in cocktails, chilled over ice or neat. And it’s especially enjoyed in El Chingon’s Madero and several of our other cocktails! We’re excited and proud to announce that Azuñia is the official host and sponsor of our weekend-long anniversary shenanigans! Expect a lot of surprises in store from Thursday-Monday [April 5-9], including an Azuñia dunk tank, Azuñia tequila give aways and gift baskets, and Azuñia prize wheel and more! Our year-long relationship and partnership with Azuñia is one of those we’re especially thankful for – there are few things that are more chingon than tequila! So raise a glass of Madero and cheers with us as we celebrate year 1 with our friends from Azuñia. Here’s to more badass years to come! Click here to check out our weekend-long anniversary events!